3D File Formats Included: .3ds (multi format), .dxf (multi format), .fbx (multi format), .max (3ds Max), .obj (multi format); Animated: No; Created In: 3ds max 7, 3ds max 8, 3ds max 9, 3ds max 2008, 3ds max 2009, 3ds max 2010, 3ds max 2011; Geometry: Polygons; Low-poly: No; Materials: Yes; Poly Count: 118866; Rigged: No; Textured: Yes; UV Layout: Yes. High detailed and textured Nissan Primera P12 Sedan. With interior which enough for close-up renders. Scene contain textures, Standart Scanline, MentalRay and Vray materials. The purchase of this file includes the object only and NOT the entire scene. I have shown the object in a scene to show only the usage of the file with lighting and render setup. Keywords: Nissan, auto, automobile, car, datsun, drive, engine, machine, p12, primera, sedan, vehicle, wheel. Best stock graphics, design templates, vectors, PhotoShop templates, textures & 3D models from creative professional designers. 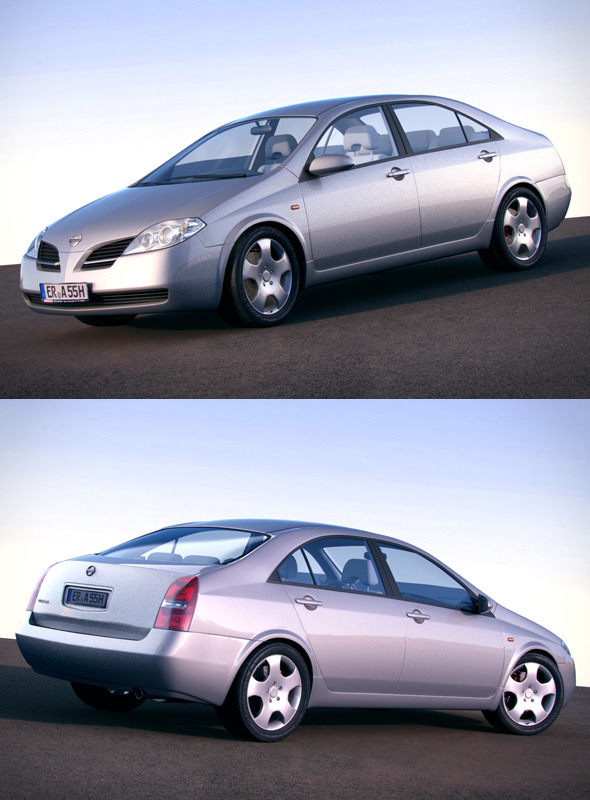 Create 3DOcean Nissan Primera P12 Sedan 1222555 style with PhotoShop, Illustrator, InDesign, 3DS Max, Maya or Cinema 4D. Full details of 3DOcean Nissan Primera P12 Sedan 1222555 for digital design and education. 3DOcean Nissan Primera P12 Sedan 1222555 desigen style information or anything related.